A wrought iron railing can grace any home, whether a suburban dwelling unit, a penthouse, a villa, or a cottage. Heavily ornamented wrought iron railing, the kind found in some of the country’s older villas, looks good in a period setting. Contemporary interiors go well with straight iron railings. 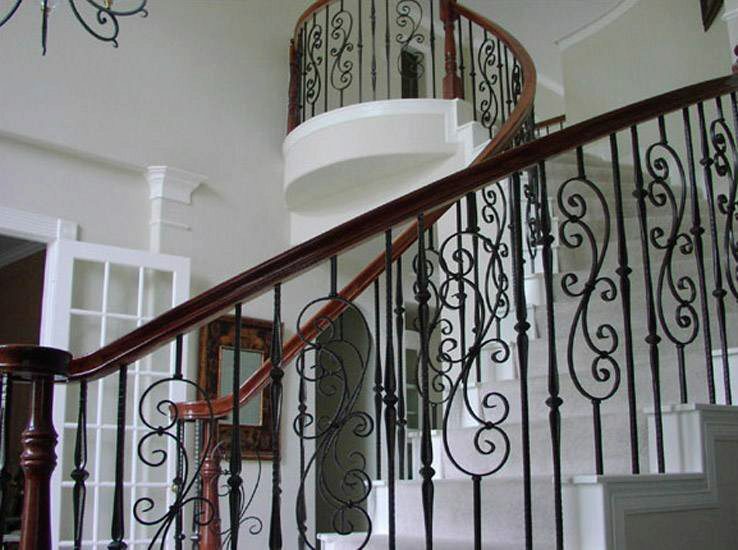 A wrought iron railing can be crafted to go around a spiral staircase, or curved stairs. While a wrought iron railing can be a little more expensive than aluminum, they fit in more easily with the design of any interior. Wrought iron can be teamed with other materials such as wood to provide a matchless grace to your home. Apart from stairs, wrought iron railing can even be used for enclosing an open space to make it safe without creating eyesore fences and barriers. Wrought iron railing can be matched to create an entire set of indoor wrought iron fittings – racks, furniture, curtain rods, holders, and much more.